Breathtaking views from every room! Lovely 3rd-floor 2 bedroom, 2 bath beachfront villa with views and comfort that can't be topped. Ideal location at the southern tip of the island, this villa is situated on one of the most beautiful beaches in Sea Pines. Tastefully decorated, the living room offers access to the balcony for you to take advantage of the spectacular sunsets while dining al fresco. The Master bedroom is outfitted with king bedding, with private access to the balcony and a full bath with walk-in shower and double sink vanity. The second bedroom has 2 queen beds and bathroom with a walk-in shower. This bedroom also has access to a balcony. 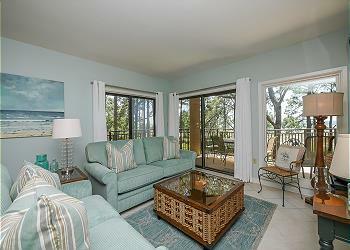 This beachfront villa offers you a view out over the pool to the water and Daufuskie Island. 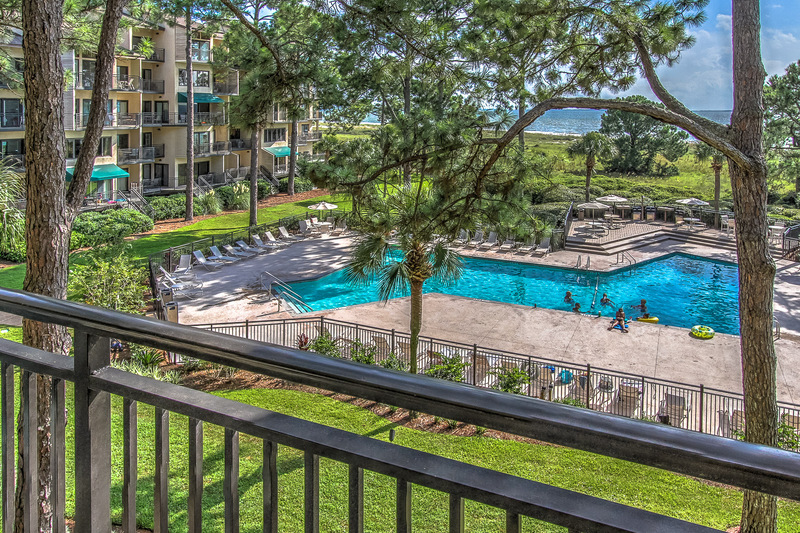 In addition to a sparkling on-site swimming pool and residents’ grilling area, you are within mere walking distance to the enchanting South Beach Marina Village, filled with endless recreation, dining, and shopping. The twinkling lights of Daufuskie Island across Calibogue Sound provide added magic on warm summer evenings. With the sugar sand beach at your door, you are sure to have a memorable vacation experience. •	This property has a land line.